Yesterday's game at the Birchwood Leisure Centre saw two teams that were still searching for a victory face each other. Hatfield United (who were formerly known as Hatfield Social) had lost 3-4 to Hadley Reserves and 0-3 against Old Parmiterians in their two games with their visitors starting with a 3-3 draw at home to St Margaretsbury followed by three heavy defeats (8-0, 12-0 and 5-1) to Wodson Park Reserves, Bush Hill Rangers and Bovingdon Reserves. It was the home side who were celebrating as they ran out 7-2 winners with two goals scored in the first half and five in the second half. Baldock Town Reserves played some good football at times but as the scoreline suggests they need to tighten up at the back somewhat in order to get some more points on the board. United host Hinton (who lost 2-0 to Cockfosters Reserves) next weekend with Baldock Town Reserves hosting Cockfosters Reserves at Norton Road. THE BALDOCK TOWN KEEPER HAD AN UNLUCKY AFTERNOON - HE GOT HIS HAND TO HATFIELD UNITED'S FIRST GOAL FROM THE PENALTY KICK. ON ANOTHER DAY IT WOULD OF BEEN A GREAT SAVE BUT THE BALL BOUNCED BACK INTO THE NET. 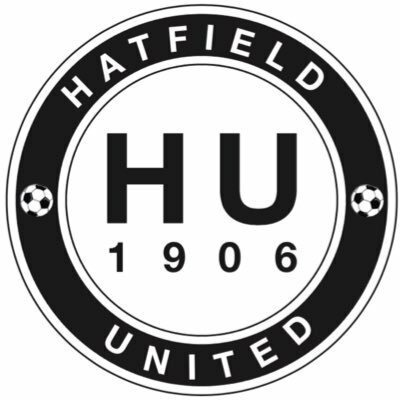 HATFIELD UNITED'S SIXTH GOAL CAME VIA AN OWN GOAL - IT SUMMED UP THE LUCK THEY HAVE BEEN HAVING THIS SEASON.